Economic impact assessments of the creative and cultural industries are important to help us understand the economic value of the sector. But creative and cultural industries also contribute to social and community development, which is also very important to capture as part of impact assessments. A creative momentum project is assessing the contribution of the creative sector to the economy of each of the project partner regions. We aim to gather evidence from a range of creative and cultural businesses and organisations. To do this we are conducting a survey in each region, designed to also capture some of the wider social impacts of the sector. 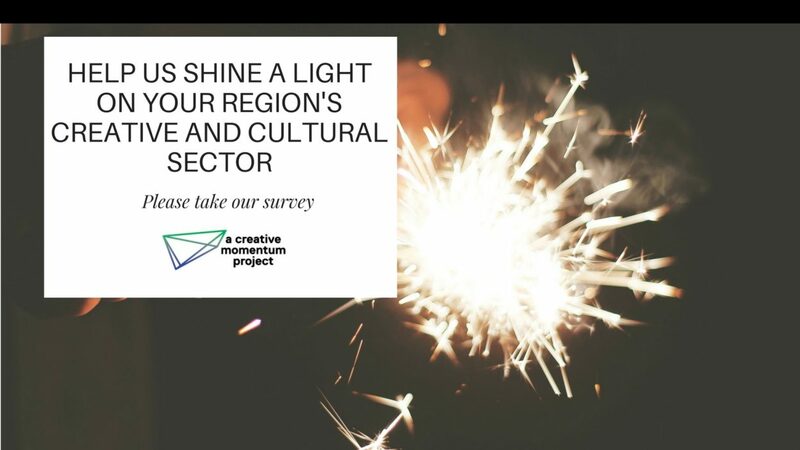 Our survey is structured to gather economic data, such as on jobs, exports and revenue generated, but also to understand the wider business environment in the region, as well as how the creative and cultural sector engages with communities. From our survey results we’ll produce a report for each region. Our work in a creative momentum project regions so far has shown that a vibrant, diverse creative and cultural sector exists. 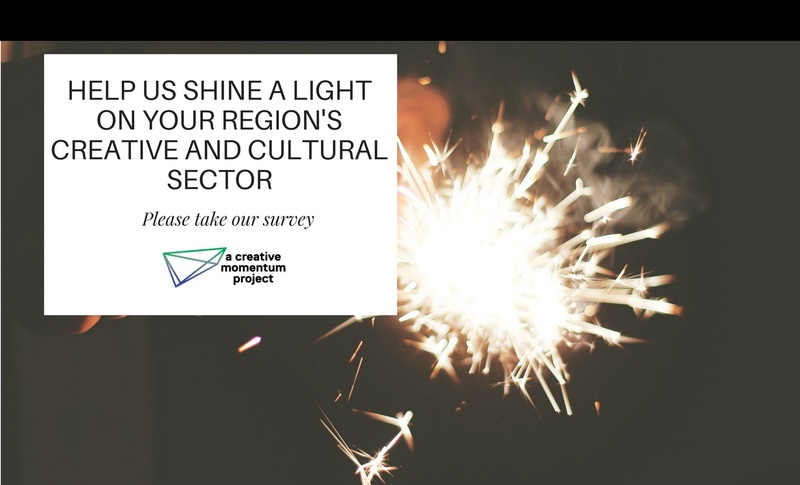 Our impact assessment report will shine a light on each region’s creative and cultural sector, highlighting its value and future prospects to policymakers. The research will also give us evidence to contribute to the debate on how to best measure the value of creative and cultural industries. Measuring value comprehensively is complex and difficult. Debate and research is ongoing in this area, particularly in relation to the cultural sector. For example the Cultural Value project aims to identify the components of cultural value and methods to best evaluate these. The Arts Council of England Quality Metrics project has been subject to strong debate. This set of metrics aims to provide a framework to assess the quality of art and cultural work. The Cultural and Creative Spillovers project is working on understanding the range of spillover effects emerging from arts, cultural and creative industries. Thanks to everyone so far who has taken time out to complete our survey. This will help us shape the future of creative and cultural sector policy and supports.